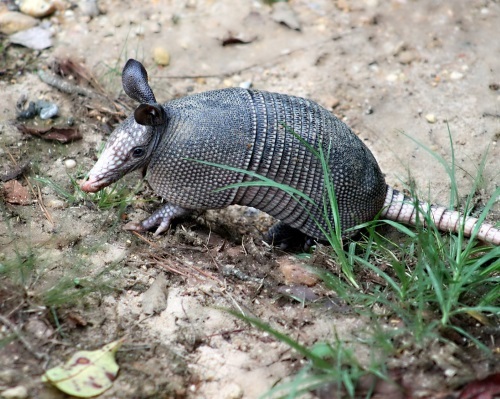 In Texas, one of the state mammals is the armadillo, but the reason why escapes me because lots of folks consider them a nuisance, especially gardeners and home owners. There was a time when Charles Apelt got the notion to hollow out the carcass and use the hard shells to make into baskets. A tisket, a tasket, an armadillo basket... Personally, I don't like the idea very much. You'd think that will his business interest in them, he'd have hunted the armadillos to extinction. Instead, they are thriving, and even found in new areas. The armadillo (Spanish for "speed bump") looks like slow-moving speed bumps I've encountered in Michigan and New York: the opossum. But even though they have a superficial resemblance (sans body armor), they're not closely related. The opossum is a marsupial, the armadillo is a mammal. And no, the 'dillo is not a rodent, like some people think. One other thing that the two critters have in common is that some people eat the things. I don't recommend it, since some 'dillos carry leprosy, and you can get sick if you don't do it right. Besides, I think they're kind of cute. Except maybe the screaming hairy armadillo, which reminds me of Haywire the Stalker and his annoying friends in the atheopath clown car. They're problematic for fans of universal common descent evolution. The fossil record does not show significant change, and their diversity supports creationary contentions that they diversified from one armadillo kind. In addition, they have unique defense mechanisms, such as the ability to burrow quickly (which protects the soft underside) and frustrate predators with the hard stuff. 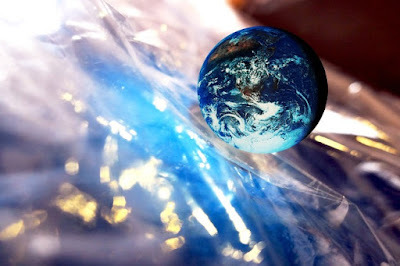 Some even roll themselves into a ball. Hey, so do the roly-poly pillbugs. Someone's going to call that "convergent evolution", I'm sure. Evolutionists say that the fossil ‘record’ of armadillos ‘begins’ in South America—but such long-age interpretation of fossil-bearing sedimentary rock layers leaves them puzzling over the origin of armadillos. They have ventured some tentative guesses about the ancestry of the armadillo, but not very convincingly. The uniqueness of the backbone of the xenarthran family, a class of animals including armadillos as well as anteaters and sloths, makes it difficult to establish evolutionary relationships beyond the xenarthrans. It is very significant to note that the plates of the ‘shell’ (called scutes) were fully formed in their ‘earliest’ find in the fossil ‘record’. Evolutionists are disappointed that there is not a developmental ‘history’ of the scutes in the fossils, but this is precisely what creationists would expect—fully formed fossils with no record of evolutionary history. To read the entire article, roll on over to "Amazing armoured armadillos of the Americas".